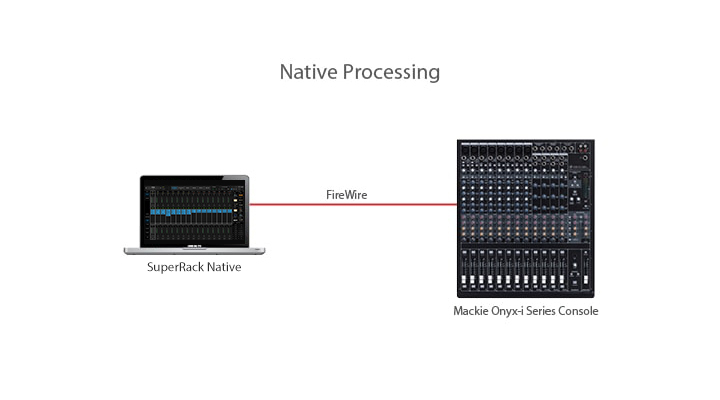 RUN WAVES PLUGINS LIVE ON YOUR Mackie ONYX-i SERIES CONSOLE. Now, Waves award-winning compressors, limiters, delays and more are ready to rock on selected Mackie Onyx-i Series mixing consoles. Favored by leading studio engineers for recording, mixing and mastering, Waves world-class audio plugins are now poised to revolutionize live sound. Native setup utilizes the computer’s CPU to power the plugin processing. In practice, this means the plugin count and overall system latency is dependent upon the computer’s CPU and sound driver capabilities.